Did you know that it’s World Cocktail Day!? Another perfect reason to experiment with a few cocktail creations I have been day dreaming about. Since the weather is finally stable, I couldn’t think of a better way to celebrate the sunny skies and this “holiday” other than playing bartender, picnic style! Don’t mind if I do! I decided to use the Ruby Viniq flavor for my World Cocktail Day creation. 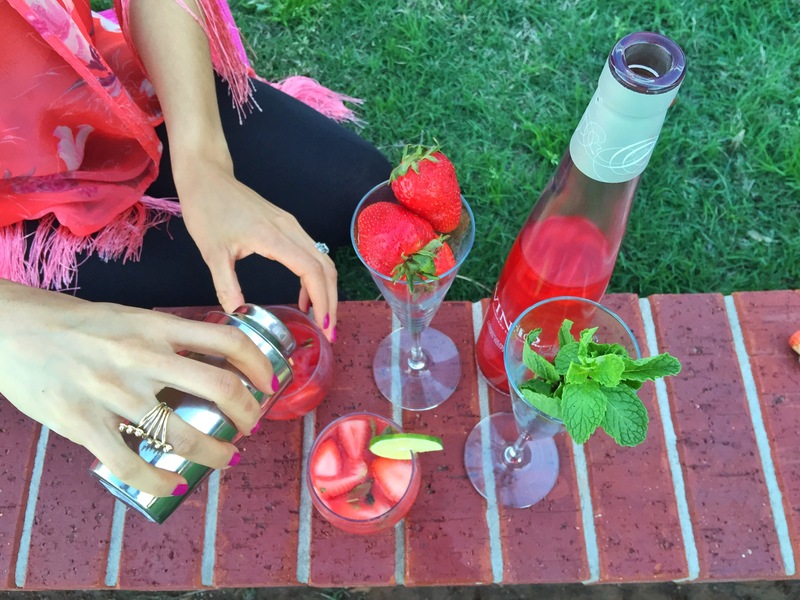 Ruby really is so delicious, with natural strawberry flavors a bright and beautiful shimmer that just makes it perfect for any celebration occasion. 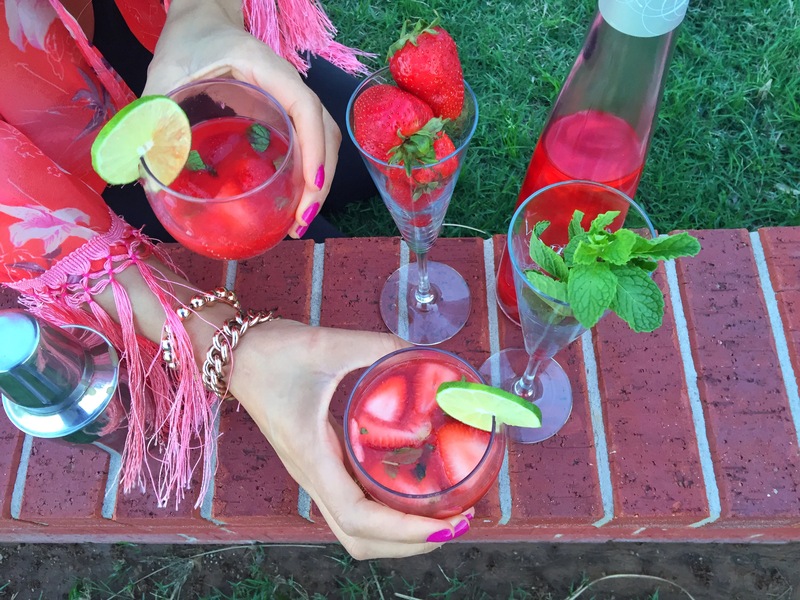 I typically enjoy some fizz in my Viniq cocktails, but today I went with an extra refreshing cocktail with mint and strawberries, as 80 degree weather currently demands! hope you get out there and enjoy yourself with a refreshing cocktail before it gets too hot to sit outside. Now is the time. 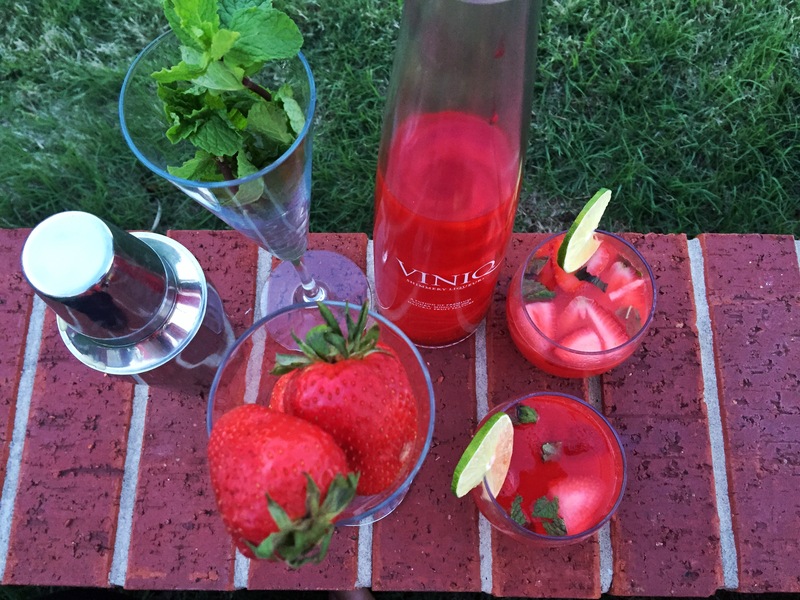 Visit BringTheShimmer.com and share your favorite Viniq moment, recipes, videos, selfies, THE WORKS! It’s basically a Viniq central, and my go-to for cocktail ideas! 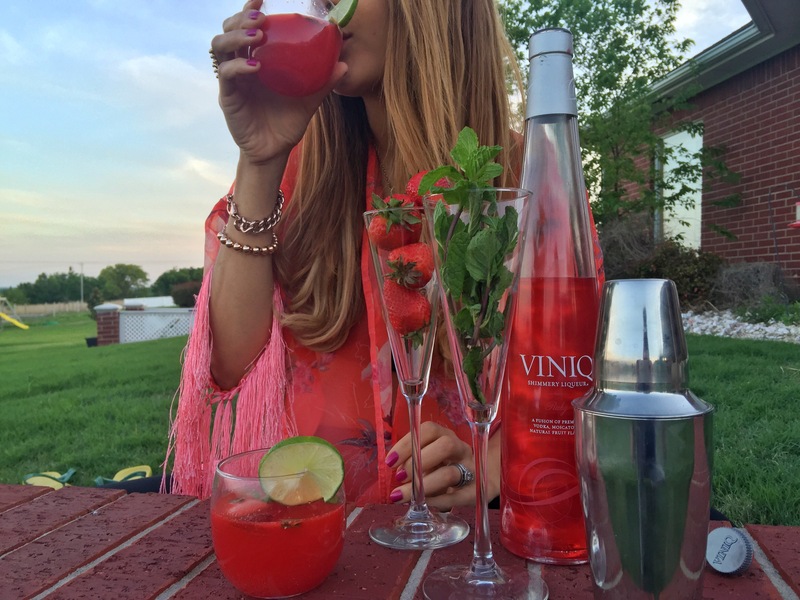 Thank you to Viniq for sponsoring this post. As always, all opinions are my own. This entry was posted in Colorful Foodie Picks, Uncategorized, Wine and Dine, Wines We Enjoy and tagged viniq, viniq cocktails, viniq ruby.